Swapping the world of international badminton to start a coffee brand isn’t the most conventional of career paths but for 26-year-old Patrick MacHugh it was something he had been keen on exploring for a number of years. After eight years of playing professional badminton and representing Scotland around the world, most recently at the Commonwealth Games on the Gold Coast, Patrick decided to hang up his racket and start his own business. 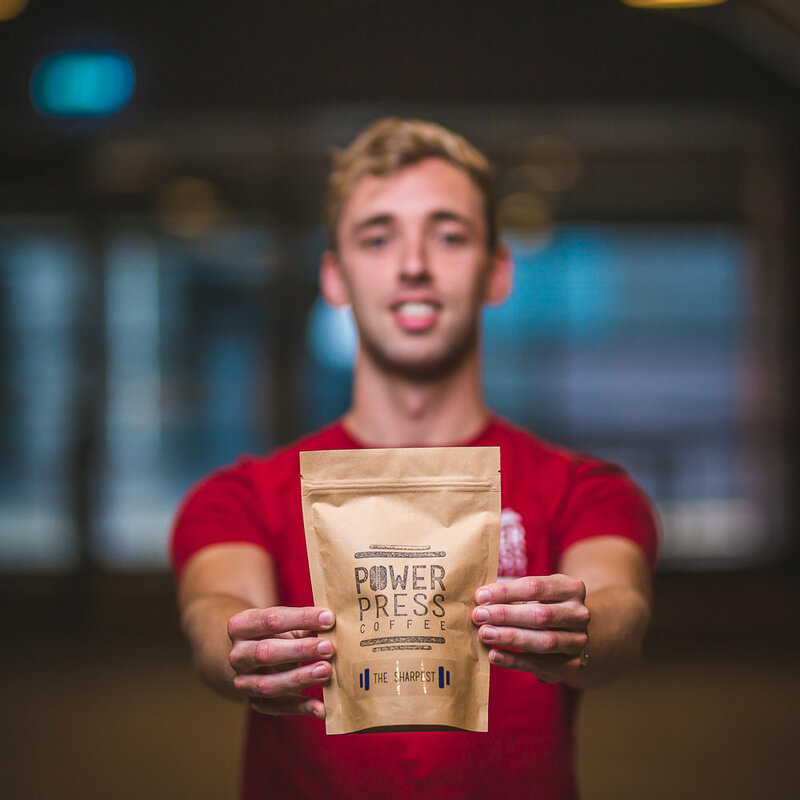 In February this year, Patrick, alongside his business partners, brother Finlay and friend Ross, launched Power Press Coffee, an e-commerce business offering a range of ‘performance coffee’ products ideal for pre-workouts at the gym or to kick-start the working day. “In my last few years of playing I always had a coffee before my session to give me that physical and mental boost. I also started doing some research in to the true effects of caffeine on performance and when is best to consume caffeine before high-intensity exercise. Patrick is not the only athlete behind the brand, his older brother Finlay also played badminton and now works as a strength and conditioning coach for Scotland’s top athletes, while Ross is a full-time member of the British curling squad. For Patrick, being able to visit different countries and experience their coffee culture really helped develop Power Press as a business and brand. “I believe there has been a huge cultural change with people’s behaviours when it comes to coffee. People are constantly seeking out new food and drink experiences and this has really given rise to new places and businesses opening up. It’s an exciting prospect. “Having travelled around a lot of different countries I have seen their attitudes towards food and drink and I think that is something Scotland is quickly developing and rivalling places such as Australia that have set a benchmark – especially in coffee terms. As a young entrepreneur, Patrick is putting hi marketing degree from the University of Strathclyde to good use in the food and drink industry which offers something exciting for young people with ideas considering a career in the sector. Patrick’s #ScotFoodGoals are to continue to grow Power Press Coffee and promote the benefits of healthy eating and drinking to encourage a healthier and happier lifestyle for Scottish people. Working alongside gyms ad health companies, Patrick wants to show how caffeine can be used to enhance natural performance and as an alternative to pre-workout shakes.